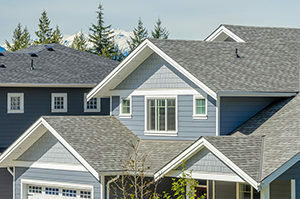 Is your home due for a roof replacement? Don’t risk your investment with under-qualified contractors. Instead, choose Chriswell Home Improvements, Inc. We specialize in installing GAF’s Timberline HD Reflector Series shingles, which are designed to reflect heat away from your home. This means that, in addition to sheltering your Elk Grove, California, area home from the elements, a new roof from Chriswell Home Improvements, Inc., may also make your home more energy efficient. Look beautiful – Choose from many different color blends and shadow effects to find the look that best complements your personal taste. Stay in place – GAF’s Timberline HD Reflector Series shingles are warranted to withstand winds of up to 130 miles per hour, so you won’t have to worry about them blowing off in inclement weather. Comply with Title 24 cool roofing requirements – A new roof from Chriswell Home Improvements, Inc., meets the prescriptive cool-roof standards as required by California state law. Additionally, our roofs have the highest fire rating available as another layer of protection for your home. And, we include a lifetime limited warranty and a one-year labor warranty on all our roof replacement projects, so you know that your investment is protected. Contact us today to speak with a representative about our roof replacement services. Chriswell Home Improvements, Inc., is a veteran-owned company proudly serving homeowners in Elk Grove, CA, and nearby areas.